After presenting the recharge pack of Rs 1,097 for the subscribers of Kolkata, Bharat Sanchar Nigam Limited (BSNL) has launched two more recharges in the pack market. These Recharge Packs of BSNL are Rs 1,699 and Rs 2,099. Both recharge offered by the government telecom company come with unlimited voice calling, SMS and data. Their validity is 365 days. BSNL's Rs 1,699 Recharge pack will directly challenge the Rs 1,699 pack launched by Jio recently. At the same time, the recharging box of Rs 2,099 will challenge Geo's Rs 1,999 Recharge Pack which comes with 180 days validity and 125 GB data. Recharge packs worth Rs 1,699 and Rs 2,099 are available under BSNL's 'Diwali Mahadmaka' offer. If BSNL Subscriber chooses a recharge pack of Rs 1,699, then they will get 2 GB of data every day. Unlimited calls will be facilitated. If the subscriber consumes 2 GB of data in a day, then he will get data from 80 kbps speed. Apart from this, 100 SMS free every day. Also, personalized caller tune can also be set. On the other hand, Jio's Recharge pack of 1,699 rupees gets 1.5 GB of data, unlimited voice calls, 100 SMS and free live free Geo Apps every day. However, the validity of the plan of Geo and BSNL is 365 days. Both of the BSNL Recharge Packs will be available to customers from all over the country on October 29. 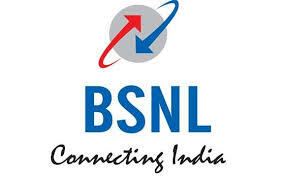 Remember BSNL has recently launched a recharge pack of Rs 1,097, which comes with unlimited voice calls and 25 GB data. This pack of 365 days validity is available only in Kolkata.